The ridge and valley system presents an important obstacle to east-west land travel even with today's technology. It was a nearly insurmountable barrier to railroads crossing the range as well as to walking or horse-riding migrants traveling west to settle the Ohio Country, Northwest Territory and Oregon Country, before the days of motorized transportation. In the era when animal power dominated transportation there was no safe way to cross east-west in the middle of the range; crossing was only possible nearer its extremes except for a few rough passages opened mid-range during the colonial era such as Braddock's Road and Forbes Road, later improved into America's first National Roads (respectively Cumberland Road, Lincoln Highway or designated U.S. 40 and U.S. 30 in later years). This page uses content from the English language Wikipedia. 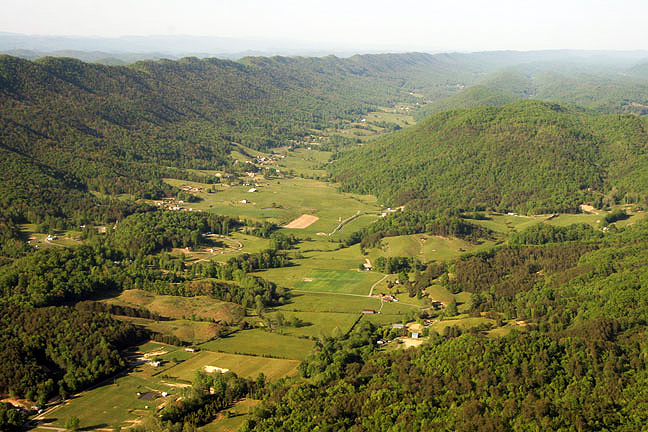 The original content was at Ridge-and-Valley Appalachians. The list of authors can be seen in the page history. As with this Familypedia wiki, the content of Wikipedia is available under the Creative Commons License.